Many of us face the challenge of eating more calories than we need, and the worse part is that we tend not to exercise after doing so. When you do this consecutively you begin to develop weight gain, and down the line, obesity. Over 70 million people in the Unites States are currently dealing with overweight problems, and knocking on the door, is obesity. About 66 million adults are technically obese, which is an alarming number that continues to climb every year. If you are someone who is on a wheelchair for prolonged periods of time on a daily basis, then you are at a risk of developing weight gain. This is sometimes true because people who use wheelchairs are less likely to use their larger leg muscles and so the outcome is less energy used. In order to prevent obesity from developing in a person, a good diet is key, but consistent exercise is also important when it comes to avoiding obesity on a wheelchair. Being obese or even overweight can put you at a higher risk of many types of illnesses, including heart disease and certain types of cancers. 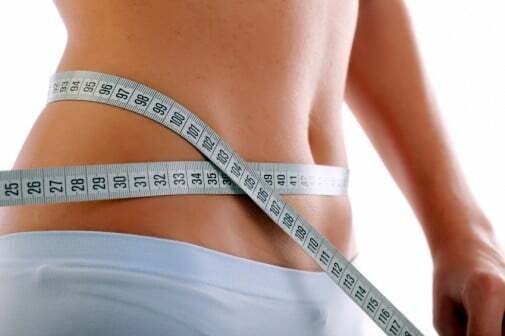 To check your current status in the “how fat am I” competition, you can use Body Mass Index to measure whether a person is at a nominal weight for their stature. To be able to sustain a loss of weight you should create a routine that fits your daily life, finding time in the day so you can exercise on a daily basis. Another way of creating weight loss is to achieve a balanced diet so that you may plan for a long-term weight loss strategy. Overeating can also be an issue when trying to keep a healthy diet; you should try to reduce portion sizes of your meals to prevent overeating. You can always learn how to lose weight on a wheelchair but it is far more important to be responsible after learning how to lose weight. Responsible meaning that you do not just do it for a week at a time, but you must find the responsibility to have consistency and longevity, if there is a balance of food and exercise that works for you, stick with it until you need to change the strategy. Weight loss is hard enough when you don’t use a wheelchair, but when you add a wheelchair to the equation; it means fewer opportunities to lose weight and to use energy to burn calories. Even so, it is very important for wheelchair users to manage their diet and exercise to prevent weight gain. Wheelchair users can prevent weight gain by doing cardio exercises catered towards their illness or disability. Strength training exercise can also be used to promote good health, this would involve using weights or some other type of resistance device to build bone mass and muscle. Strength exercises can also help you improve your balance; this would help a wheelchair user during a transfer or to avoid obstacles without falling off the chair. Another way you can attempt to lose weight and to stay as fit as possible, is to play sports. Such sports as wheelchair basketball, netball, or extreme wheelchair sports can be the answer to your obesity and weight gain problems. Probably the most obvious way to stay in shape on a wheelchair is to propel or push yourself everywhere you go (when possible). This option would depend on your current condition, if you cannot propel yourself, other options are out there to help you stay in shape and to avoid health problems such as heart disease.